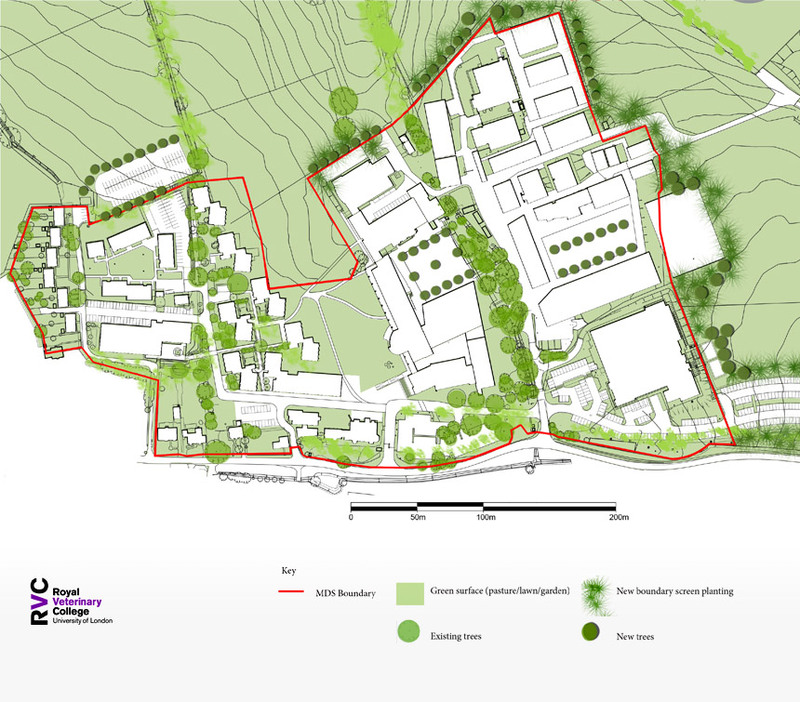 Following the completion of an extensive Capital Projects Planning exercise, RSS worked closely with the College to develop a Masterplan for its Hawkshead campus. 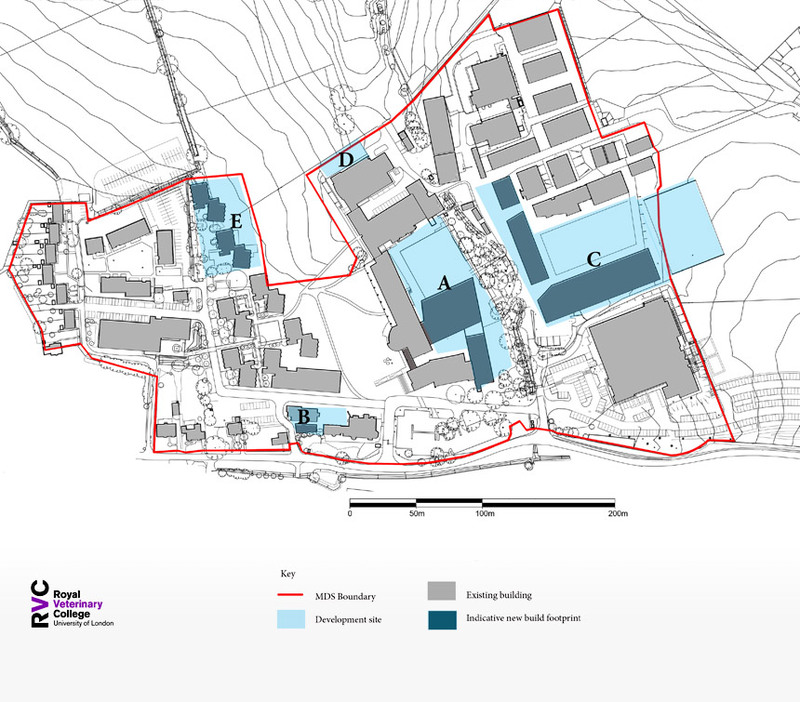 The campus has grown incrementally over time, and despite some fine architectural interventions, has a mixed legacy of buildings with poor vehicle-dominated infrastructure. 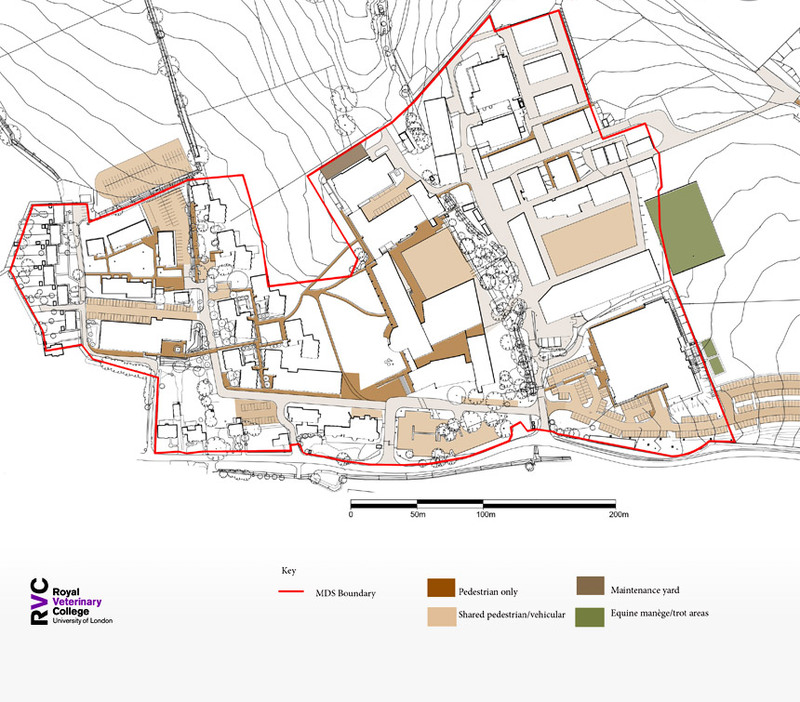 To address this and to respond to growth in student numbers, the Masterplan provides a considered framework for development. 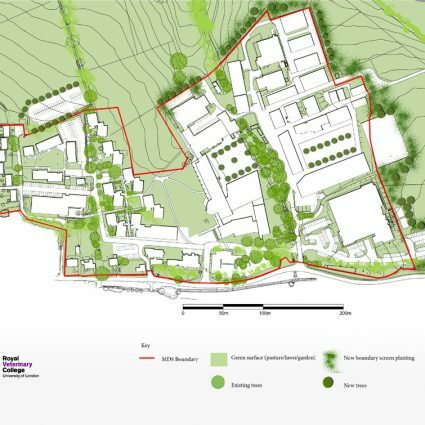 It provides a vision for the campus that enhances the green infrastructure, reflects its location in the Green Belt, improves the built environment, encourages connections and places of exchange whilst facilitating the removal of buildings that detract from the campus and are no longer fit for purpose. 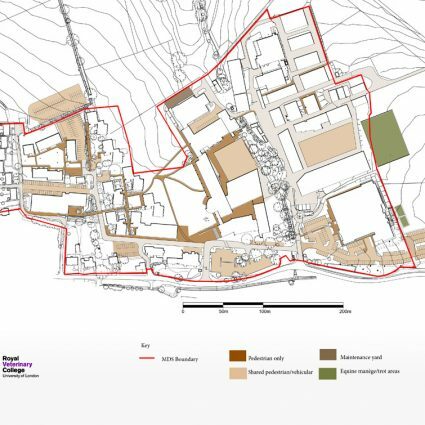 The proposed approach aims to promote development that is efficient, of high quality, and sustainable and identifies approx 17,000 m2 of new build alongside significant remodeling to replace and augment existing buildings. 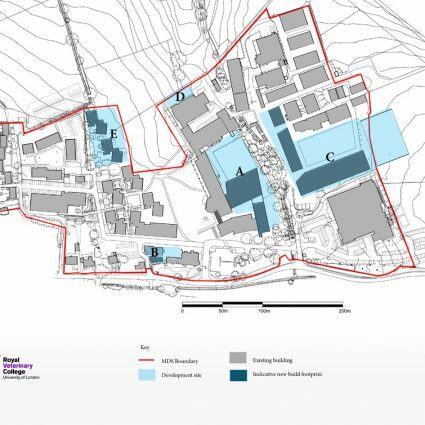 The plan has been accepted by Welwyn Hatfield Borough Council and will be used as context within which future planning applications will be assessed.